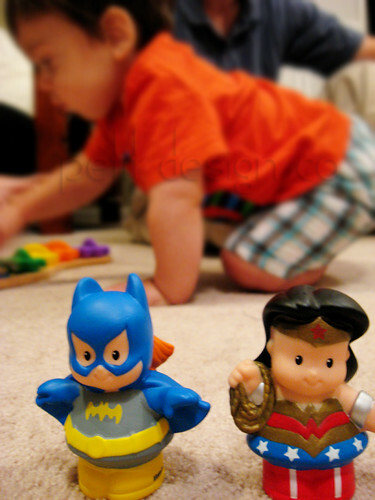 I couldn’t resist these super cute Little People heroes I found on clearance. Yes, my baby is a boy. He doesn’t mind though, he still happily drools and chews on them. Now I’m on the look out for the other little heroes (Batman, Joker, Superman and The Green Lantern) to complete the collection. in other SUPER news, the kids start school tomorrow!!! HALLELUJAH! !